Here is the next instalment of the sussex campers top 10 most beautiful places in the UK, to give you some ideas for trips away, or maybe even a tour of the UK in your campervan. Three Cliffs bay, on Gower Peninsular in South Wales, is set in a valley, with huge limestone cliffs towering over the golden sand, surrounded by salt marshes and sand dunes, with a river running through the middle. 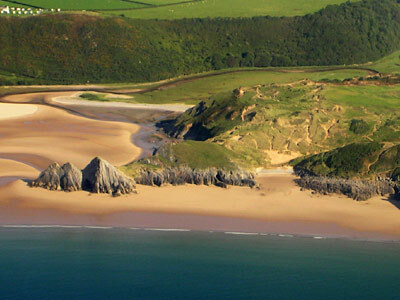 In 2006 the BBC declared Three Cliffs bay to be ‘Britain’s Best Beach’ and it has since been nominated for Britain’s best view, and once you have visited, it is easy to see why. 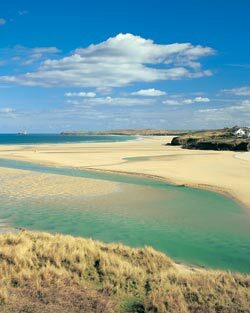 As the bay is not that easy to access, it has remained unspoilt, and is a popular spot for horse riders and surfers. The three cliff provide a great challenge for climbers, and walkers and visitors get their fair share of a challenge with the steep sand dunes and cliff top walks. Walk through an archway in the cliff face, leading to the lovely Pobbles beach, or cross the stepping stones to the west side of the river, but make sure to return to the main beach before the tide comes in! Whilst visiting the bay, explore the eerie ruins of the 12th Century Pennard Castle, rumoured to be the home to many magical fairies. Visit the nearby city of Swansea for a touch of cosmopolitan lifestyle, with its array of bars, restaurants, cafes, shops and museums, just a small selection of what this Welsh jewel has to offer. The Three Cliffs Bay Holiday Park, a fantastic campsite overlooking the bay itself, is open all throughout the year, offering electric pitches, an on site shop, a toilet and shower block and laundry facilities. 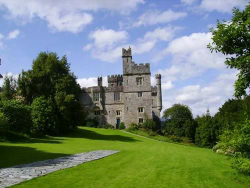 It has, in the past, won the title for “Number One View from a Campsite in the World” so is a fantastic place to stay. This lovely weather makes me want to get in the campervan and drive somewhere different. 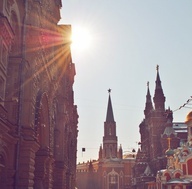 We as a family have talked about going to Polish or Hungary this summer but how about even further like Russia. There is so much to see on the way. I love travelling and meeting different folk; that’s what makes it so interesting. Summer here we come…. Some family friends took their campervan round Norway and Sweden the other summer, going right up to the arctic circle. They said how beautiful it was with the fjord and the clean blue skies. I wonder if they got any sleep with the long days. 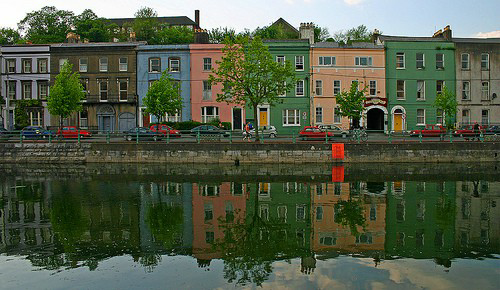 Isn’t it great to jump in the campervan and drive to where you fancy. It could be Russia or Norway or maybe Italy who ones… I have stack of guide books to inspire us where to go when we are on-route. I still prefer a guide book to the internet, though the web is so useful giving you up to information. Otherwise you can be like us who nearly drove down an old road which was now a footpath in Spain. 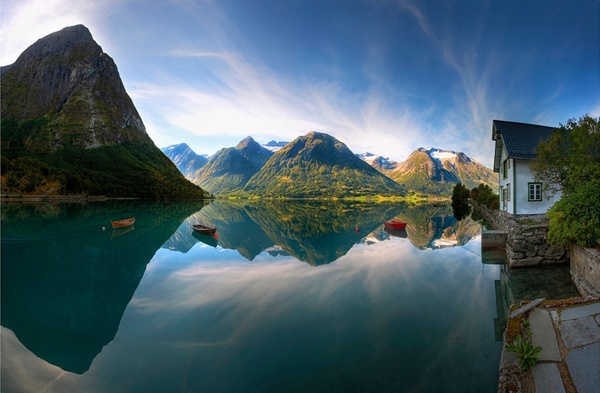 Isn’t it a beautiful picture of Norway so peaceful and serene. Take me through with a good book and some drawing pencils. The deep gorge, engulfing the little winding road, is a breathtaking sight, and the honeycombing of caves and grottos will fascinate people of all ages. The walks are fantastic on the Cheddar Gorge, and when you are feeling a little peckish, you can stop at one of the lovely cafes, such as the Wishing Well, for a cream tea, or at the Cheddar Sweet Kitchen for some handmade, old fashioned sweets. 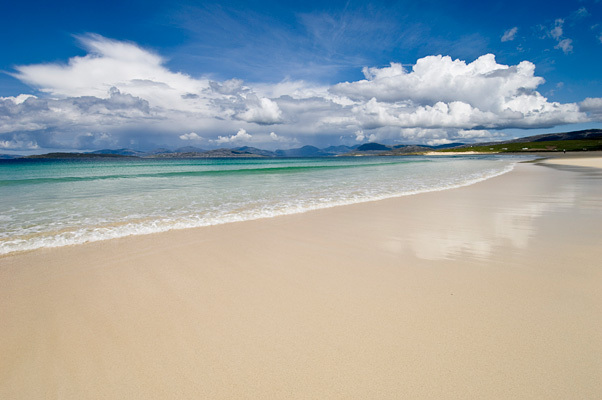 You will also be in easy reach of the beaches of Weston Super Mare, the historic City of Bath and Longleat Safari Park. There is a wide choice of excellent campsites in the area. One of my favourites is the Cheddar Camping and Caravanning Site at Mendip Heights which offers some great family deals. If you are a member of the Camping and Caravanning Club you can get even better rates. 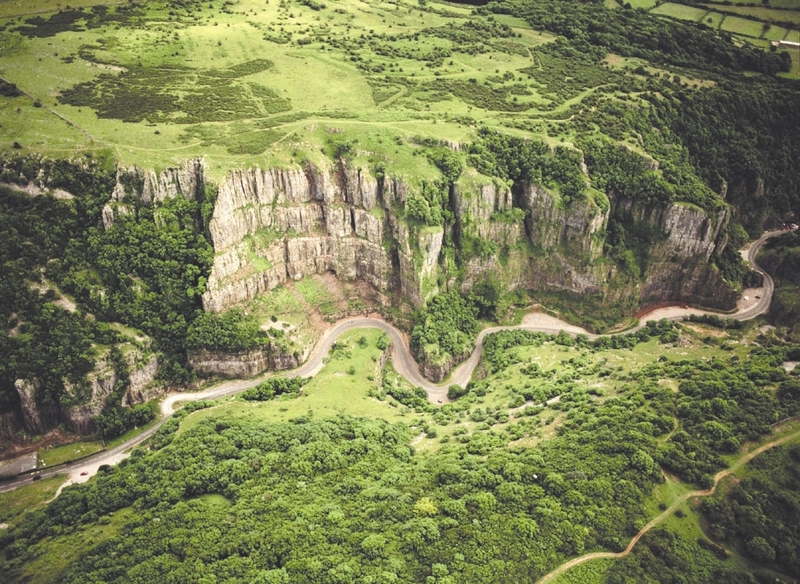 If you like great walks and spectacular views, the Cheddar Gorge is definitely worth a visit!